A mind-blowing, beautiful spectacular of light and colour, synchronized to Christmas tunes. No words can describe the overwhelming emotion of standing under the lights as they dance to all your holiday favourites as snow falls on you (yes, really!). The Osborne Family Spectacle of Dancing Lights are NOT to be missed! 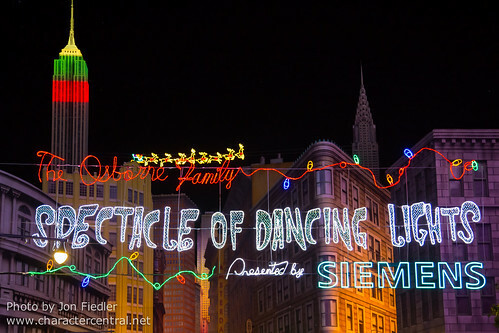 The Osborne Family Spectacle of Dancing Lights are VERY popular, and for good reason. They are switched on at nightfall throughout the Christmas Season, and run until park close (which actually is pretty early at the Studios during the winter).